US Secretary of State Mike Pompeo was in Central America late last week when he criticized China’s rising influence there by questioning the intentions behind its investment activity. 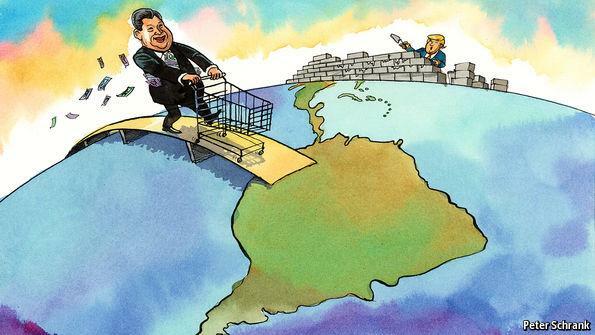 This prompted the country’s media to angrily respond earlier this week and lambast the US for trying to “drive a wedge” into Sino-Latin American relations. Washington is worried that Central America is slipping out of its hegemonic control after tiny El Salvador broke ties with Taiwan in August and recognized Beijing as China’s legitimate government in exchange for economic support, which some observers feared could catalyze a chain reaction in this part of the world where the self-proclaimed country counts a handful of its dwindling supporters. From the US’ perspective, China’s rising economic influence is clearly having political consequences that might one day manifest themselves in these countries gradually turning away from Washington like a few of them have recently done with Taipei, which could lead to the US losing its unipolar control over the region that it condescendingly regards as its “backyard”. 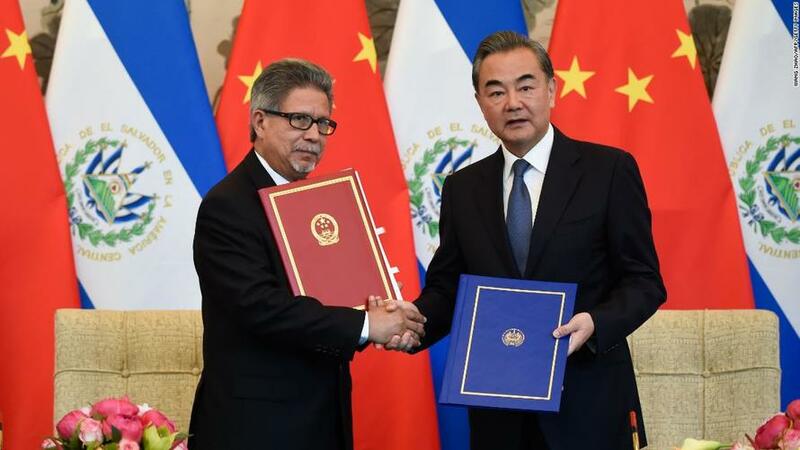 Even Honduran President Juan Orlando Hernandez hinted at what he called the “opportunity” that China’s growing diplomatic role in the region could provide despite he himself having remained in power up until now after winning a disputed election late last year that was controversially endorsed by the US. Speaking of “opportunities”, a new one has suddenly materialized after Trump threatened to curtail the aid that his government was giving to the three “Northern Triangle” countries of Honduras, Guatemala, and El Salvador as part of the so-called “Alliance for Prosperity” after they failed to stop thousands of their citizens from participating in the latest Caravan Crisis, which provides the perfect pretext for China to economically intervene in their support on the condition that the remaining two follow San Salvador’s lead and switch their recognition from Taipei to Beijing. This potential pivot could give China indirect control over the US’ border security by making it responsible for stability in those countries after replacing American aid there. It’s already recognized that many of these migrants are motivated to flee their homelands by powerful push factors such as systemic mismanagement, corruption, drugs, unemployment, and gang violence, which were what the US’ “Alliance for Prosperity” assistance was supposed to address, but it might be China that ends up doing so if Trump scales back these programs like he’s planning and Beijing steps in to replace it. Just as disturbing of a scenario for the US is if this has a knock-on effect that enhances Chinese influence in Mexico after its leftist president-elect AMLO takes office at the beginning of December, thereby representing an unprecedented challenge to the US’ political dominance in the entire Western Hemisphere. The Catch-22 that the US finds itself in is that its reactionary Hybrid War response could just make the Migrant Crisis even worse, so it’s unclear what America can or will do to retain its hegemony here.